℗ 2014 Deutsche Grammophon GmbH, Berlin Under exclusive license to Universal Music Classics, a Division of UMG Recordings, Inc.
"A glintingly percussive Rite of Spring ... Ravel's La Valse is technically impressive ..."
"When Alice Sara Ott and Francesco Tristano come together to play the works on this album, pieces that have been performed a thousand times before, something miraculous happens. Watch them give a whole new meaning to piano duets." 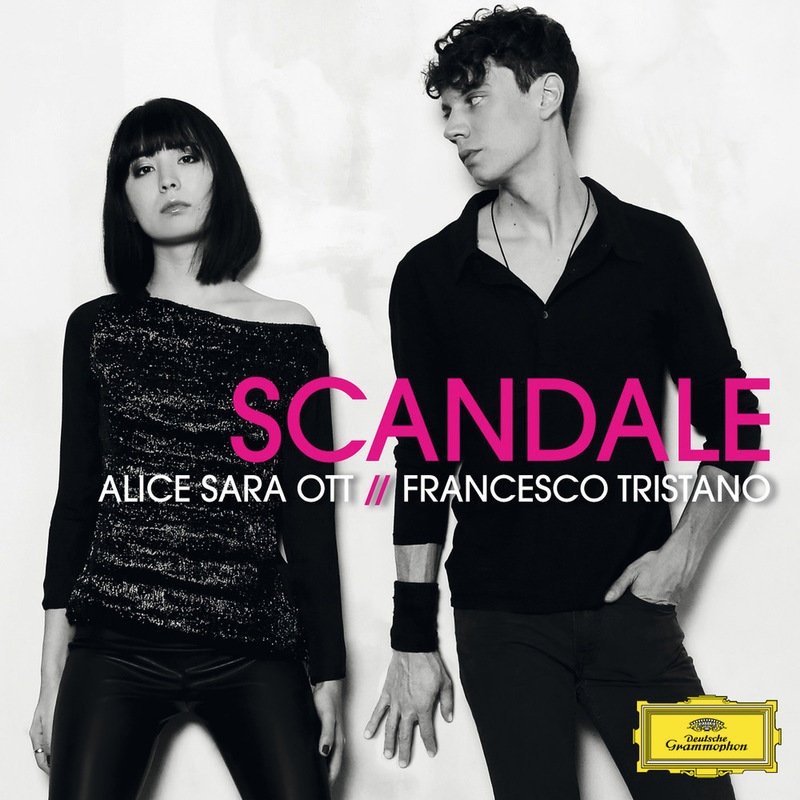 Scandale is the title of this 2014 release from pianists Alice Sara Ott and Francesco Tristano. While their choice of title is an allusion to the Russian impresario Sergei Pavlovich Diaghilev, they have no desire to view him or his era through a retrospective, idealistic haze. The challenging programme for two pianos centers around Stravinsky’s extremely rhythmic and avant-garde score of The Rite of Spring. The album also features a world premiere recording of a composition by Tristano himself entitled A Soft Shell Groove. Francesco Tristano plays on a Yamaha CFX concert grand piano. Stravinsky: Boosey & Hawkes, Ltd.